Are your children like mine, do they love putting the telly or the dvd player on and watching their favourite shows like Peppa Pig, Bob the Builder, Ben and Holly, FireMan Sam and Thomas the Tank Engine? 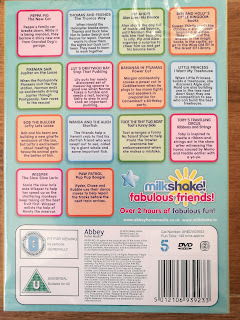 If the answer is a big YES then this dvd released by Abbey Home Media will be just perfect for them, it contains over TWO yes TWO hours of all their favourite shows they love watching on Milkshake. My kids couldn't wait to put this dvd on so much so that they even forgot to switch the dvd player on and wondered why the disk wouldn't go in lol. 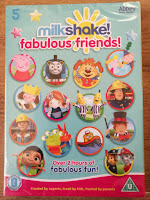 This dvd contains 14 different episodes of their favourite shows found on Milkshake including FireMan Sam, Peppa Pig, Thomas and Friends, Ben and Holly and many many more. 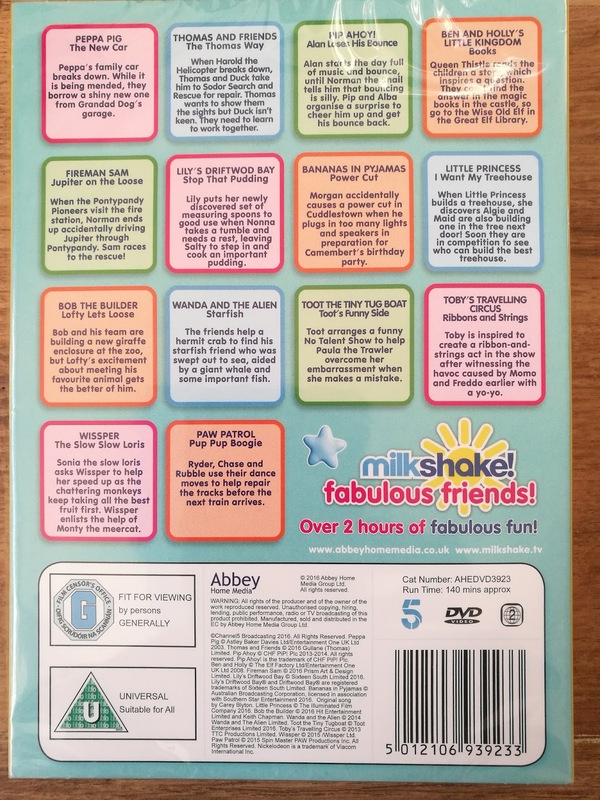 This dvd is retailing at £8.00 on Amazon and HMV online at the time of writing this review and to be honest that is I think a very reasonable price for a children's dvd packed full of their favourite shows. I was sent this dvd as a review item and all content is my own.